The 2018 Florida State Oriental Medical Association (FSOMA) will bring together Licensed Acupuncturists and other stakeholders and healthcare professionals dedicated to improving patient care and defining the future role of Licensed Acupuncturists in integrative healthcare. Visit Health Concerns booth, we'd love to meet you! In Advanced Sleeping Sound, Andrew Gaeddert will discuss helping clients with chronic insomnia and why constitutional treatment is recommended. We will discuss medicines, which contribute to insomnia as well as health conditions associated with poor sleep. Attendees will be able to help clients with long-term insomnia, chronic fatigue, immune disorders, chronic and acute pain, diabetes, heart disease, and cognitive decline. Case studies on insomnia patients will be presented. We will discuss insomnia clients presenting with GERD, the effects of diabetes and metabolic syndrome, nasal obstruction causing snoring, Chronic Fatigue Syndrome, depression, and anxiety. A discussion of herbs and advanced acupuncture protocols will be presented. Sleeping Sound Part 1 focused on the TCM treatments and sleep hygiene, and drugs used in the treatment of sleep disorders. Advanced Sleeping Sound focuses on fostering a greater understanding of treating insomnia using acute and constitutional approaches with patients in the western clinic. 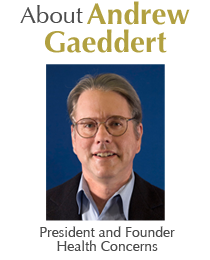 Andrew Gaeddert is a pioneer in herbal research and the western applications of Chinese Medicine. He takes an East West approach to treating primary and secondary insomnia. integrated with Western medicine treatments. Integrative oncology can be defined as the rational, evidence based combination of conventional therapy with complementary interventions into an individualized treatment protocol. Medicinal mushrooms such as Ganoderma (ling zhi), Turkey tail (coriolus, yun zhi) and Cordyceps (dong chong xia cao) have used to modulate the immune system and improve the quality of life of cancer patients. Learn which mushrooms reduce the toxic effects of chemotherapy and radiation therapy and which have activity against breast and prostate cancer cells, and which can improve drug outcomes. Andrew Gaeddert will discuss research and clinical experience helping cancer patients with medicinal mushrooms. Case studies will be presented. This year’s Pacific Symposium is set to take place on October 25 – November 1, 2016. The annual Symposium is your opportunity to meet a community of healers while learning from innovators in the field. This event, held at the beautiful Catamaran Resort Hotel, draws acupuncturists, massage practitioners, chiropractors, nurses, medical doctors and traditional Chinese medicine students. Earn CEUs and PDAs while listening to this year’s speakers present current research, unique methodologies, and explore new techniques to integrate into your daily practice. Pacific Symposium 2016 will also showcase more than 70 exhibitors eager to present new products that can help revolutionize your practice. Visit www.pacificsymposium.org for more information. Be sure to visit Health Concerns at booth #40! 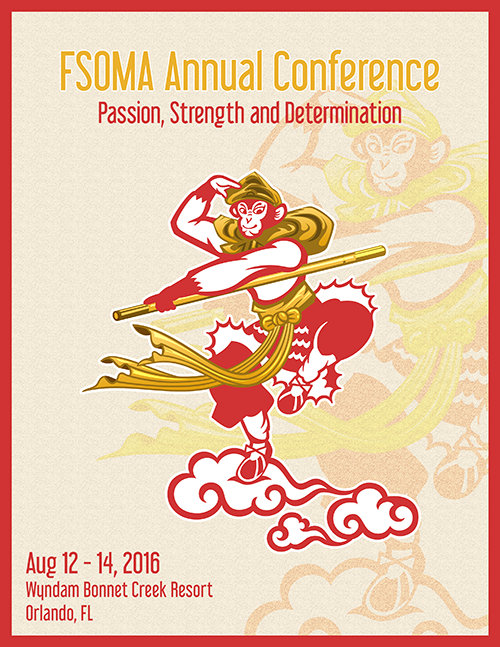 The 2016 Florida State Oriental Medical Association (FSOMA) will bring together Licensed Acupuncturists and other stakeholders and healthcare professionals dedicated to improving patient care and defining the future role of Licensed Acupuncturists in integrative healthcare. Visit Health Concerns at booth 36 in the Grand and Ponce De Leon Foyer! 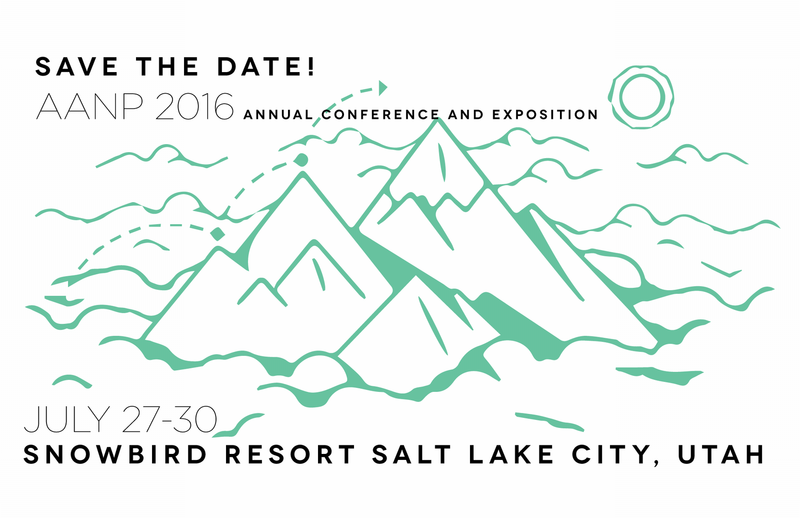 The American Association of Naturopathic Physicians takes its annual conference to Utah! Come see innovative presentations and knowledge sharing opportunities you won’t get anywhere else. This year, the conference theme is diversity. AANP is building an educational program that will provide practitioners with information and techniques they can use immediately. Health Concerns shares a long history with AANP and is proud to be an exhibitor at this year’s groundbreaking event. The naturopathic community of licensed NDs, acupuncturists, chiropractors, and other industry influencers will come together at this premier meeting for strategic insights and professional networking. Visit Health Concerns at booth 224! For centuries, medicinal mushrooms have been regarded in Chinese medicine as supreme health tonics. As the West catches on, practitioners have an increasing number of choices of mushrooms sources, yet they remain unaware of import quality and efficacy considerations. Thousands of scientific studies demonstrate their unmatched ability to support immunity, cardiovascular health, blood sugar, sexual function and energy. In numerous experiments and clinical trials, mushrooms have also demonstrated antiviral, antibacterial, anti-inflammatory and anti-allergenic actions. It might surprise you to learn that in addition to all of these beneficial properties, medicinal mushrooms can be an effective treatment for allergies, other respiratory and autoimmune diseases. Nonsteroidal anti-inflammatory drugs, or NSAIDs are prescribed for pain management and are also available over-the-counter. It’s a well-known fact that although NSAIDs are helpful when it comes to pain management, they can also increase the risk of developing gastrointestinal bleeding and other GI complications. NSAIDS can lead to heart attack and stroke. They also are known to interfere with kidney function. The most popular NSAIDs include aspirin and ibuprofen and Celebrex. A Consumer Products Safety Commission survey estimates more than 78,000 patients a year go to emergency rooms for Tylenol (acetaminophen) overdoses, with about 30 percent accidentally taking too much, the study found. (propublica) Tylenol can be toxic to the liver, and may precipitate acute biliary pain and cholestasis. Gastrointestinal side effects include nausea and vomiting. Opioids which includes all drugs with morphine-like effects, including opiates (morphine, codeine), semi-synthetic opioids derived from opiates (such as heroin, hydrocodone, hydromorphone, oxycodone, and oxymorphone), and synthetic opioids which are not derived from opiates (such as fentanyl, buprenorphine, and methadone). All opioids, are considered drugs of high abuse potential. Opioids can slow or stop breathing and can lead to addiction. Side effects of Vicodin (hydrocodone plus Tylenol), the most commonly prescribed opioid in North California, can cause drowsiness, upset stomach, constipation, headache, and blurred vision. Herbalist Andrew Gaeddert will discuss the dangers of pharmaceutical analgesics, important public health information regarding low dose aspirin used for heart health, and methadone, a drug increasingly used for pain control. We will also discuss Channel Flow®, a potent pain-relieving herbal formula with analgesic and anti-inflammatory effects. Andrew will review effective protocols for patients with osteoarthritis, fibromyalgia, athletic injury, and post-surgical pain. Case studies will be presented. 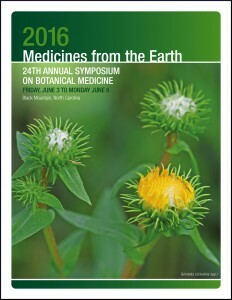 Medicines from the Earth Herb Symposium features over 40 presentations by leading practitioners and researchers in botanical medicine. Also offering: Friday field study and pre-conference intensive, panel discussions, medicine-making classes and herb walks in a beautiful retreat setting. This symposium is provided by BotanicalMedicine.org whose goal is to offer the highest quality information on herbal medicine. Be sure and visit the Health Concerns booth! This class will zero-in on the most essential skills you need to achieve stellar clinical results while also building a successful practice. You will learn the proper way to conduct an initial consultation that will serve to provide you with the information you need to give a reliable estimate of treatment success while also creating a positive working relationship with your patient. Doing this will increase the chances of a successful treatment outcome while also greatly increasing the chances of referrals. The Health Concerns formulary contains a wealth of knowledge, combining centuries of wisdom and pairing it with modern research and clinical experience. Each of our formulas has been specially designed with the American practitioner and patient in mind. It might surprise you to learn that Health Concerns has over 100 formulas meant to address the conditions seen most often. The North Carolina Association of Acupuncture and Oriental Medicine (NCAAOM) brings internationally-renowned speaker Dr. Misha Cohen to present on "Chronic Liver Disease and Cancer Support." Hello, Texas! 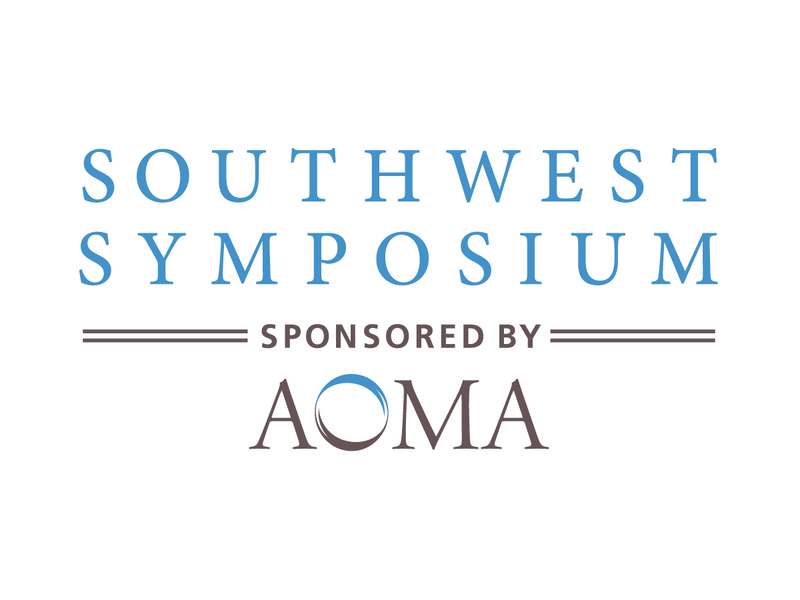 The 16th annual Southwest Symposium will be held at the Omni Austin Hotel Southpark in Austin, Texas. The Southwest Symposium connects a large community of healthcare professionals. It is estimated that five million Americans suffer from Fibromyalgia Syndrome (FM). FM is a disorder characterized by widespread musculoskeletal pain accompanied by fatigue, sleep, memory and mood issues. Researchers believe that fibromyalgia amplifies painful sensations by affecting the way your brain processes pain signals. Symptoms sometimes can begin after a physical trauma, surgery, infection or significant psychological stress. In other cases, symptoms gradually accumulate over time with no single triggering event. Join us for our free webinar, “Protocols for Rhinitis, Sinusitis and Food Allergies.” Andrew Gaeddert will discuss how to safely and naturally help your patients who suffer from seasonal and food allergies. This webinar is a special bonus Tune-up session (from the live broadcast held on February, 10th, 2016) to discuss the progress they've made in building their businesses. Engage with your peers to find what methods will work for you! As the popularity of medicinal mushrooms continues to increase, patients will be hearing more and more about them from friends, family, the media and other sources. This webinar will prepare practitioners to answer all their patients’ questions and to use these herbs to heal in a powerful and effective manner. The Integrative Healthcare Symposium Annual Conference is the only event where multi-disciplinary practitioners come together as a cohesive community. Look for Health Concerns booth at the Bastyr Student Product Fair in Kenmore Washington! This is a re-broadcast from the live webinar held on February, 10th, 2016. Is your practice as busy as you'd like it to be? Attend our newest webinar, "Growing a Thriving Practice" and learn how you can find new clients, retain them for longer, market your practice, and build an income to last a lifetime! Is your practice as busy as you'd like it to be? Attend our newest webinar, "Growing a Thriving Practice" and learn how you can find new clients, retain them for longer, market your practice, and build an income to last a lifetime! The Centers for Disease Control and Prevention estimate that over one-third of U.S. adults (about 97 million) are overweight. Even more disturbing, this number is projected to grow to 42% by 2030. Many modern methods of weight management are failing the general public. Traditional Chinese Medicine, with 5,000 years of experience, offers a hopeful alternative. Modern medical research into the efficacy of Chinese Medicine for weight loss suggests that its approach can inhibit fat production, enhance intestinal peristalsis to increase stool clearance, improve blood circulation, and speed up the metabolism. “The Clinical Use of Medicinal Mushrooms” is a review of the most popular medicinal mushrooms used today. These include Ganoderma, Poria, Cordyceps, Shiitake, Enoki, Lion’s Mane and Turkey Tail, which are now prominently used in the USA and Asia. Best known for their effects on the immune system and cancer, mushrooms are also used for the treatment of chronic fatigue, cardiovascular disease, diabetes, hepatitis, lung disorders and obesity. Herbalist Andrew Gaeddert will uncover little known facts about these and other mushrooms and he will explain how processing affects clinical results. We will review indications and contraindication for medicinal mushrooms on the basis of Western research and Traditional Chinese Medicine. The types of products in the market including whole mushrooms, extracts and mycelia products will be presented. Practitioners will review and learn about medicinal mushrooms from the perspective of TCM as well as the latest scientific research. Practitioners will also learn how to differentiate common medicinal mushrooms. In its 27th year, Pacific Symposium has served as an interactive environment for brilliant minds of the East Asian medical profession to come together and study. A renowned conference with worldwide recognition, this annual event unites acupuncturists, massage therapists, nurses, medical doctors, students, and professors by opening the gates to the exchange of industry information. Health Concerns is excited to attend the AIHM Annual Conference in San Diego! The AIHM Annual Conference provides a unique combination of educational experience and sacred space, blending the art and science of integrative health & medicine with the most pressing global issues for the health of the planet. An extraordinary lineup of interdisciplinary speakers will take us on a journey through evidence-informed comprehensive, affordable, sustainable person-centered care and cutting edge research. Personal renewal and deep community connection are central to the event. The course format includes lectures, networking opportunities, focused track sessions and experiential programs. Join the renowned multidisciplinary AIHM faculty experts and community for this truly unique conference experience. several other key commonly allergic foods that can contribute to immune imbalance and digestion havoc. Look for Health Concerns at the Bastyr Conference in Kenmore on October 17th! Health Concerns is excited to attend the American Herbalist Guild 26th Annual Symposium in Granby, Colorado! The American Herbalists Guild is pleased to present their 26th Annual Symposium: New Horizons in Clinical Herbalism, to be held October 15-19, 2015 in stunning Granby, Colorado. Featuring keynote speaker Ethan Russo, the 26th Annual Symposium hosts some of the world’s leading herbal educators, delivering cutting edge presentations on a wide range of topics in herbal medicine. Asian patent medicines include herbs, plants, animal parts and minerals which are formulated into tablets, pills, or liquids to make them easier to use. This branch of Traditional Chinese Medicine can be an extremely effective tool to keep one and one’s patients healthy. However, many patent medicines manufactured in Asian countries—particularly China and India—contain toxic ingredients, such as heavy metals, as well as prescription drugs or unapproved ingredients that may or may not be identified on the label. When analyzed, a large number of these medicines are found to contain compounds that are not listed under ingredients which may be dangerous. Scientists have found drugs like ephedrine, chlorpheniramine, methyltestosterone and phenacetin. Health Concerns will be attending the CSOMA Los Angeles Regional Mini-Conference! The Science of Medicinal Mushrooms! Andrew Gaeddert will review popular medicinal mushrooms including Ganoderma, Poria, Cordyceps, and Turkey Tail. He will also be examining medicinal mushrooms from a Traditional Chinese Method (TCM) perspective, indications and contraindications of treatments, and the benefits of medicinal mushrooms. The Health Concerns Symposium is a meeting point for practitioners of acupuncture and herbal medicine where members of these communities can network with other professionals, learn from some of the leader's in alternative medicine and earn continuing education credits. This year, the symposium will cover a wide range of topics including addressing issues of herb/drug interactions, approaches to treating digestive disorders with acupuncture, and methods for diagnosing gluten intolerance. There will be a comprehensive review of research and medicinal uses of herbs such as Ganoderma, Astragalus, and Schizandra, as well as a demonstration and discussion of the importance and benefits of proper sitting posture for practitioners and their patients. The American Assocation of Naturopathic Physicians brings its annual conference to Health Concerns’ backyard. From August 5 to 8, the AANP will showcase its educational program that is “Fresh, Sustainable and Cage Free.” Think all day boot camps, NED (Naturopathic, Education, Doctoring) talks (yes, a take-off on TED talks), original research and research updates, and the PITH (Personal Insightful Tales of Healing)…a relative of the NPR’s “MOTH.” Health Concerns shares a long history with AANP and is proud to be an exhibitor at this year’s groundbreaking event. Health Concerns has been invited as CSOMA’s guest for this special event. There, Health Concerns will have a booth with information about our products, services, and our upcoming Health Concerns Symposium 2015. Clinicians have relied on classical formulas for nearly 2000 years, and many of the core herbal combinations that guide everyday practice were first established in ancient texts such as the Shang Han Lun. This clinically-oriented lecture explores the evolution of herbal medicine over the centuries. CSOMA is offering a number of regional mini-conferences in 2015, the first of which will take place in the bay area. Health Concerns has been invited as CSOMA’s guest. There, Health Concerns will have a booth with information about our products, services, and our upcoming Health Concerns Symposium 2015. Americans will travel nearly 700 million times this summer. Warmer weather and more flexible schedules allow us spend more time outdoors and away from home. This can sometimes mean an increase in injuries and less preparedness to handle illness. Health Concerns is hosting a special webinar on treating summer and vacation illnesses. We will discuss common infections, insomnia, swimmer’s ear, allergic skin conditions, athletic injuries, and digestive issues associated with travel. We will also review the benefits of the newly introduced Health Concerns Travel Kit. Compact, and easy to travel with, the Health Concerns Travel Kit supplies you and your loved ones with the essential herbal support you’ll need once you hit the road. Now you can be prepared for whatever comes your way and have more room in your suitcase for souvenirs and sunscreen! Bastyr University holds three product education fairs throughout the academic year at the Kenmore, Washington campus. The fair is designed to establish professional relationships between students, graduates and members of the Bastyr community. Health Concerns has a longstanding relationship with the innovative university and will be attend the fair this February 26. Be sure to visit us at our booth! Hello, Texas! The 15th annual Southwest Symposium will be held at the Omni Austin Hotel Southpark in Austin, Texas. The Southwest Symposium connects a large community of healthcare professionals. With world-renowned speakers, the Southwest Symposium brings together over 350 licensed acupuncturists, doctors, naturopaths, nurses and massage therapists for 3 days of exceptional continuing education courses. Health Concerns will be at booth number 3, so get on down there and say hello! Alone, herbs can be a powerful component of natural healing. This healing power can be increased exponentially when herbs are carefully crafted into formulas, and then combined with other mixtures into treatment protocols. In this webinar, Andrew Gaeddert will discuss some of the most popular and effective herbal protocols he has found after thirty years of practice. Essential combinations that help address conditions that vary from seasonal allergies to digestive conditions. Join us for this informative webinar designed to advance your knowledge of herbal medicine and help you treat your patients more effectively. Andrew Gaeddert will discuss essential tonic formulas, including information about how these formulas work and how they are administered, tips and differentiations. He will also recommend diet, as well as physical and breathing exercises to assist in improving your patients' health. Health Concerns will be participating in the “Acupuncturists Without Borders” event in Berkeley, California to honor several socially engaged Acupuncture leaders in the Bay Area. Honorees include, Dr. Carla Wilson, DAOM, L.Ac, Misha Cohen, L.Ac, Dipl.Ac., The Bay Area Veterans Acupuncture Clinic and the American College of Traditional Chinese Medicine. Come meet our Health Concerns representatives for an evening of Celebration and Healing and an opportunity to learn more about Health Concerns! If you, or if one of your patients, had only a few natural remedies to take with you on a long journey, which would be choose and why? In this webinar, Andrew Gaeddert will discuss essential herbal formulas that are useful to have available at a moment's notice. The discussion will include information about how these formulas work, why we consider them essential, the estimated length of their administration, and how fast acting they are. Andrew will also discuss essential formulas in the context of the modern American practice as well as important things to consider when building an herbal pharmacy. The New Mexico Society for Acupuncture & Asian Medicine is a non-profit, professional organization whose purpose is to promote the practice of acupuncture and Oriental medicine as an effective and valuable component of our health-care system, to organize educational events, & to act as a forum for its members to share the wealth & treasures of their personal knowledge, wisdom & experience. NMSAAM has invited Health Concerns to take part in their annual FunRaiser celebrating the Chinese New Year. Health Concerns is proud to have donated items for their silent auction to benefit local public education about alternative medicine. Bring your friends and colleagues for a fun-filled evening of entertainment and celebration. Health Concerns staff will be volunteering at the Alameda County Food Back as our way of giving back to our community. Alameda County Community Food Bank has been working to feed the hungry in the bay area since 1985 with a vision toward a day such an organization is no longer need. The Alameda Food Bank is the hub of a vast collection and distribution network that provides food for 240 nonprofit agencies in Alameda County. In 2012, the Food Bank distributed 23.2 million pounds of food, 53% of it fresh fruits and vegetables. This webinar will focus on specific digestive disorders. Because many of your patients try to treat themselves, or are under the care of a gastroenterologist, we will review the most commonly prescribed popular pharmaceuticals, their indications and side effects, and alternative therapies. You’ll learn about: Crohn’s disease, ulcerative colitis, IBS, Candidad Related Complex and parasite prevention. Health Concerns will be attending the Pacific Symposium. The annual Pacific Symposium is an opportunity to experience a community of healers while learning from innovators in the field. This event, held at the beautiful Catamaran Resort Hotel draws acupuncturists, massage practitioners, chiropractors, nurses, medical doctors and traditional Chinese medicine students. Attendees are able to earn CEUs and PDAs while listening to this year’s speakers present current research, unique methodologies, and explore new techniques to integrate into their daily practice. Pacific Symposium 2013 will showcase 73 exhibitors eager to present new products that can help revolutionize your practice. Health Concerns is proud to be on of them! Health Concerns is attending this event as an exclusive vendor. Students attending this course will learn how the anatomy and physiology of cats and dogs differ from that of humans. They will learn the location of acupuncture points and treatment protocols that work for various disorders as well as what they can and should not do with herbs in treating dogs and cats. Students will study how to examine the tongue and take pulses, and how to interpret their findings, and Discover how to conduct a Chinese medicine exam and glean background information that leads to a solid Chinese medicine diagnosis. Health Concerns is thrilled to have our updated Veterinary Professional Product Guide available to those that attend and will be offering our most popular formulas used by vets as a raffle giveaway. Visit the link to find out more.